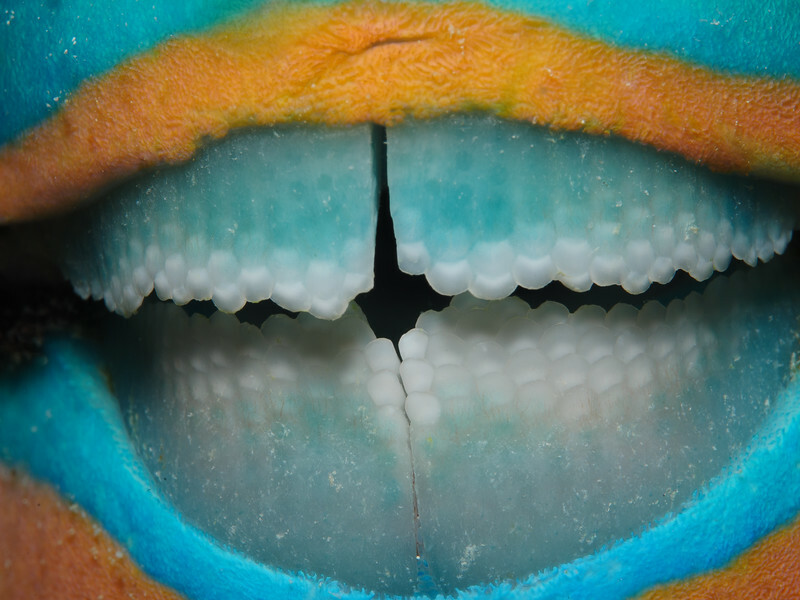 Parrotfish have fused teeth plates. With those they scrape polyps and algae of hard corals. In turn they excrete the coral skeleton as white sand.